Home > NEW & HOT! Fresh back from the PGA show in Orlando Florida, we have added the next great golf accessories right here. BEST VALUE for the Model 8! Tons of FREE extra accessories and of course FREE SHIPPING! Add ambiance and practicality to your outdoor putting green WITHOUT WIRES!! Changing the push cart forever- ingenious leap forward! NEW! The only Cigar Holder that is universal, made in the U.S.A. and CRADLES your cigar... yes.. PERFECTO! SUPER HOT for Christmas! Great new look, and added ball mark feature! Perfect gift idea! Finally a durable, light weight, high quality golf net that is EASY to set up, and doesn't break the bank!! Excellent gift idea. The safe and effective way to build swing strength and improve tempo! 3-Pack! New! No loss of performance and improved technology! 120+ hours of twilight or night time play! A tour caliber ball that offers a combination of distance and control comparable to balls costing twice as much! World's First Robotic FOLLOW Electric Golf Cart! Free Shipping! Pin High Pro Golf Training Mat - Get To Your Left Side! Instant response to a proper weight shift in your swing! Simple and HIGHLY effective! HEAR when the speed of your club head has maxed out, and time it to IMPACT! Simple, and immediately effective swing trainer! Handy portable accessory holder that fits on the roof rail of any golf cart! Spotless Swing Towel | 3 in 1 Golf Towel and Golf Club Cleaner Free Shipping! The golf towel that 1. Stays Clean on the outside. 2. Traps dirt on the inside. 3. Scrubs club grooves! Free Shipping! Amphibian Wet / Dry Golf Towel AS SEEN ON TV! The Amphibian is the year round, wet/dry golf towel! A must for any bag. Golf Cart GPS Holder works with all brands of GPS, and smart phones as well as most golf carts including Sun Mountain and Clicgear 3.0! Turn any putting green into your own automatic return green! Ingenious. Click the pic or link to see video. Flatball Golf Indoor Impact Training Ball 6 Pack Free Shipping! An interesting concept for practice to improve ball striking. Worth a try - use indoors our out! 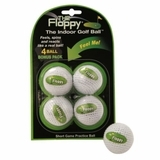 The Floppy feels and acts like a real golf ball, but it is safe for indoor use! Special Introductory Price! The latest battery technology gives the new Powakaddy Freeway 2 27+ holes of power at an incredible 24 pound TOTAL weight! Amazing! Attaches any Golf GPS device, or Smart Phone to any motorized, or manual golf cart! Great indespensible gift idea! iPhone Adapter Case for Golf Cart GPS Holders Free Shipping! Give your iPhone 3 or 4 a "button" to click into the Veiw GPS holder, or any other standard button type receiver! 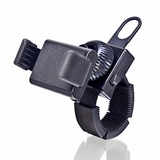 Attaches any Golf GPS device, or Smart Phone and fits in a golf cart cup holder! Great simple and practical gift idea! FREE shipping! Finally, a truly superior Cigar Clip! Works better, Looks Better, and Lasts Longer! A driver cover that doubles as a drink cooler, uhhh, COOL! !